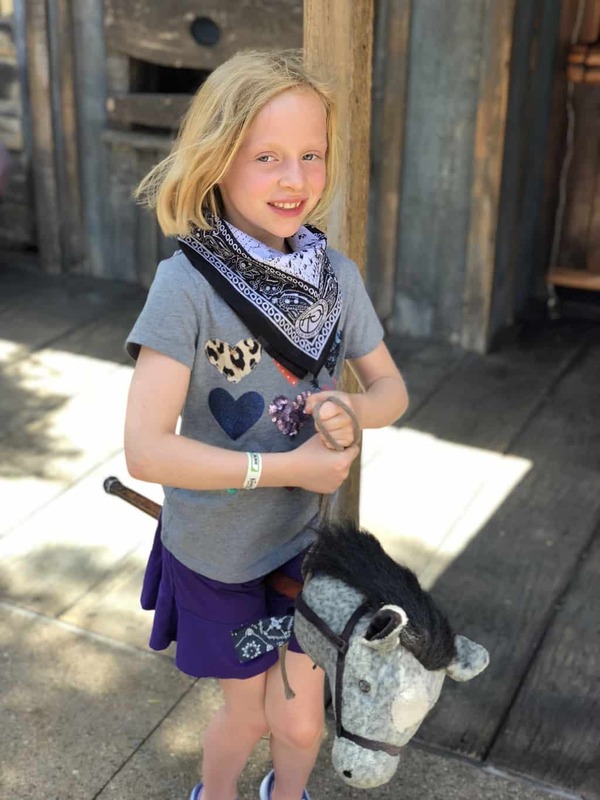 By now, you know that Knott’s Berry Farm is the ultimate place to step back in time and immerse yourself in the Wild Wild West! 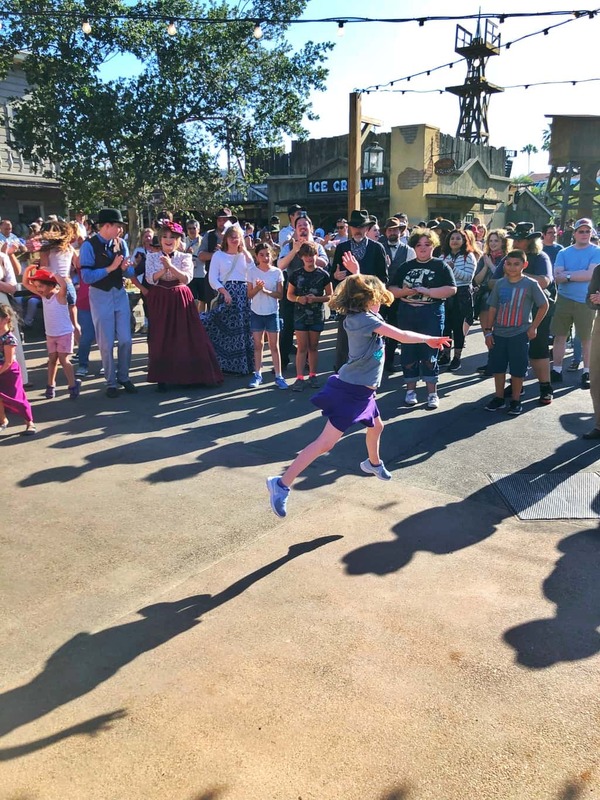 But did you also know that you can immerse yourself even further by playing a role in the new Ghost Town Alive! experience? SoCal Field Trips was invited last weekend to personally check it out and we survived to tell the tale! 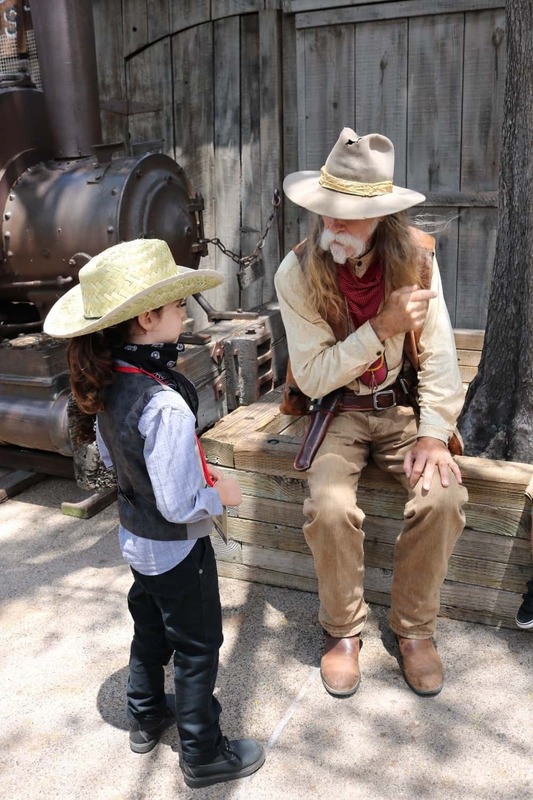 Take a peak at this summer’s Ghost Town Alive adventure! 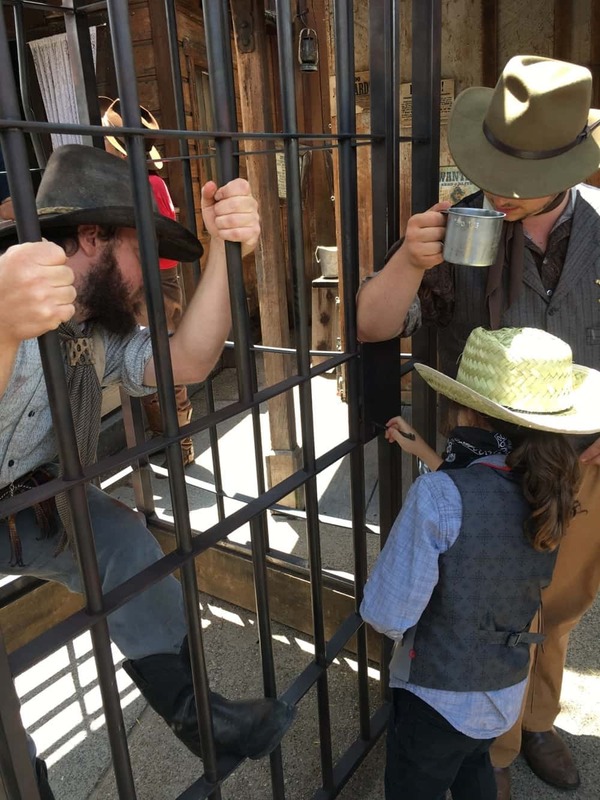 During last year’s Ghost Town Alive, we had to choose which team we wanted to be on, either the good guys or the bad guys. 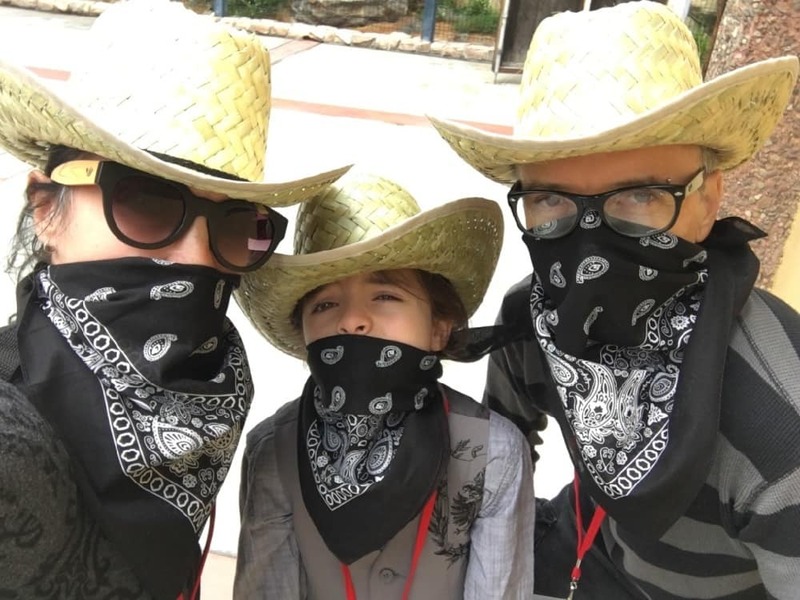 We decided to be on Team Mayfield Gang and were handed black bandanas and stray hats to play our part..
Sheriff Wheeler Team members were handed white bandanas so they could easily tell us apart. 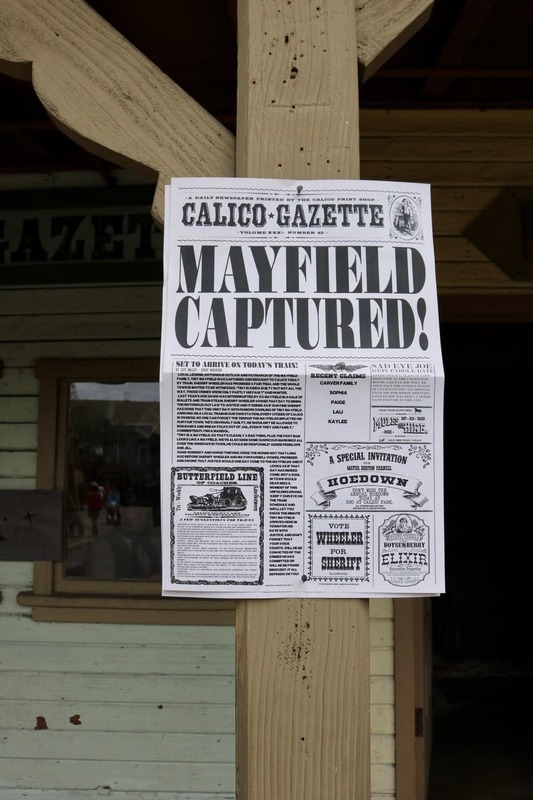 As the story goes, Team Mayfield Gang thought they inherited the town and all they wanted to do was claim what was allegedly theirs. 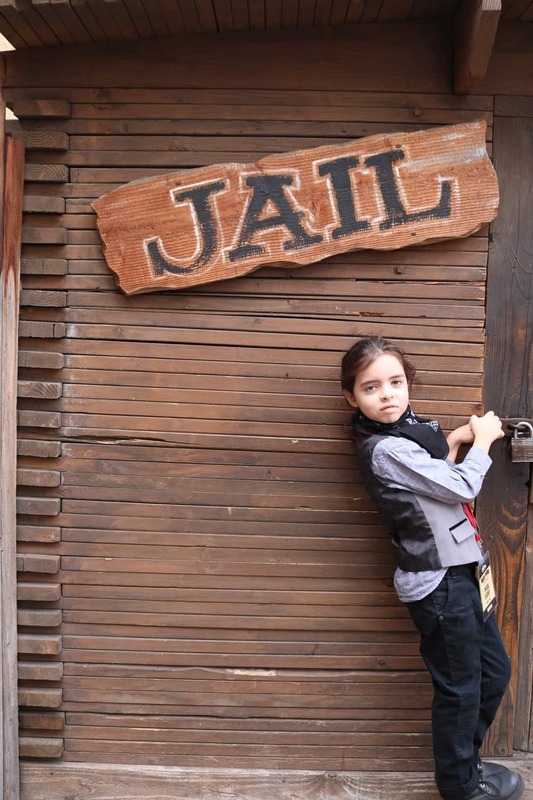 They weren’t really the bad guys…at least they thought! 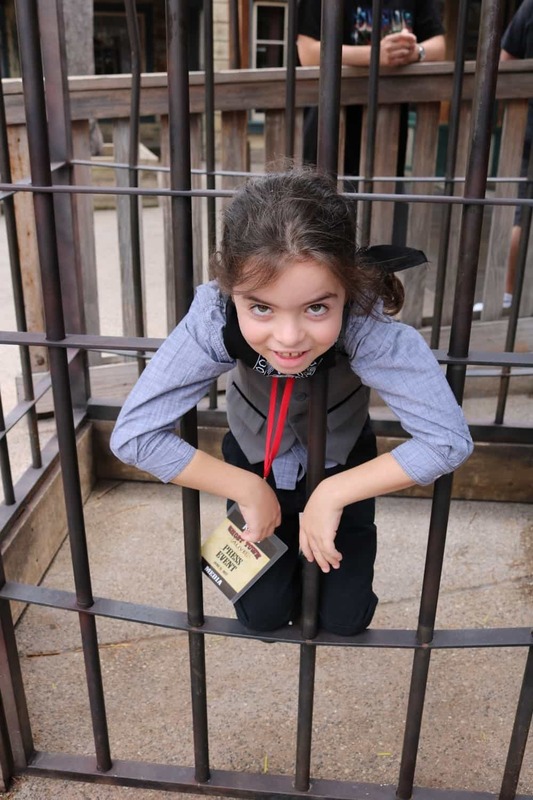 Ghost Town Alive invited us at noon to the prison cell for the first part of the interactive experience. 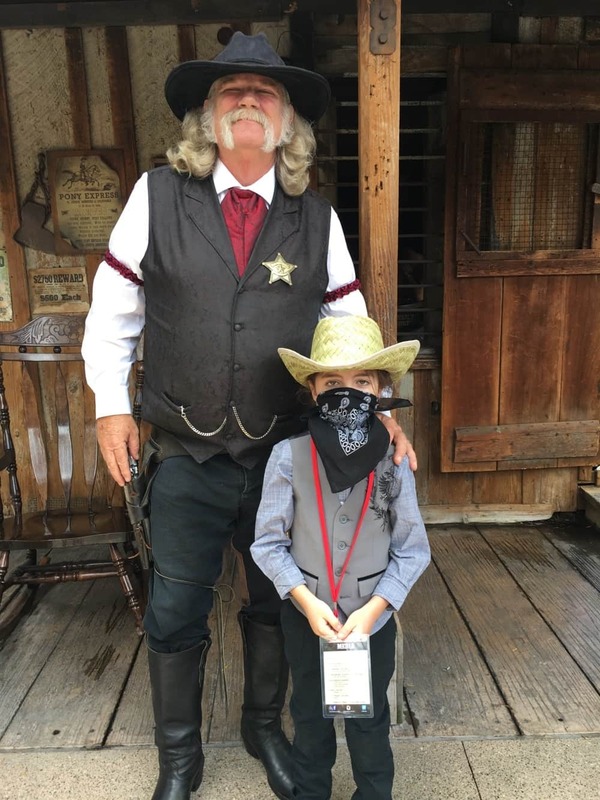 Here the sheriff welcomed the good citizens of the town and invited them to follow him to the train station where Tiny Mayfield was expected to arrive. 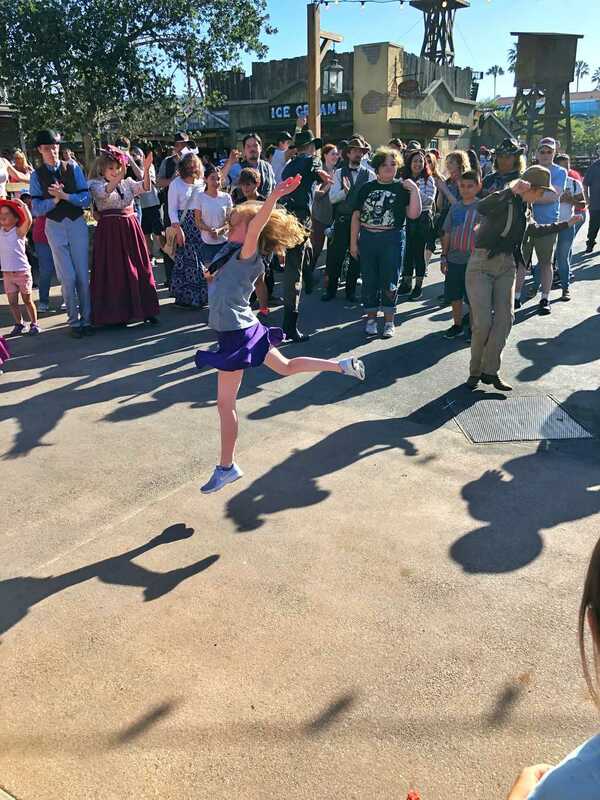 Tiny Mayfield arrived under the cheers of the black-bandana-wearing Mayfield supporters and the boos of the Sheriff helpers. Then he was led to the Town Hall where his lawyer asked for a trial. After agreeing to wait an hour for the lawyer to prepare his case, Tiny was sent to prison. This ended Part One of the experience that continued to unfold throughout the remainder of the day. 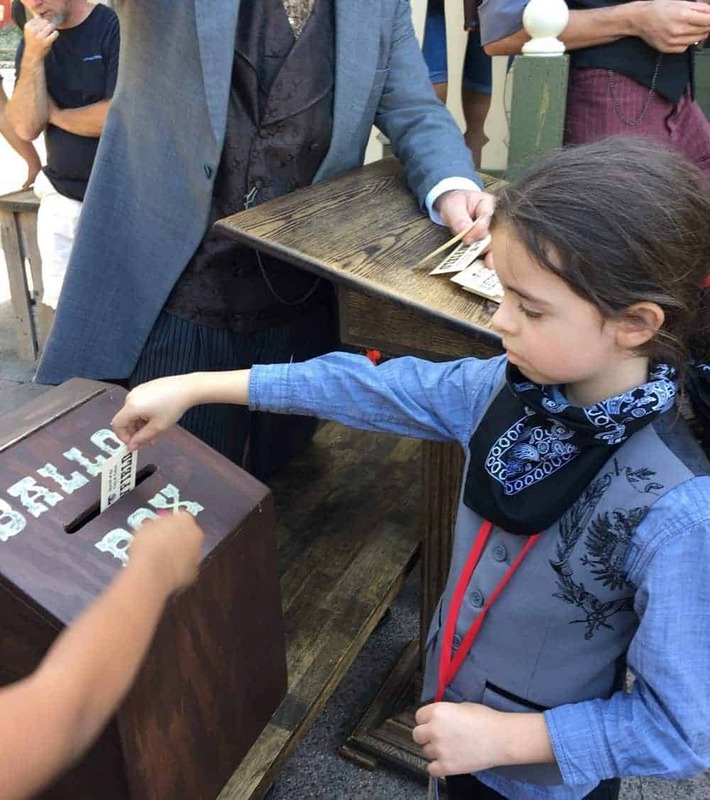 Later that afternoon, we returned to learn the fate of Tiny Mayfield and cast our vote for a new sheriff in town. We were glad that our candidate won! Did you know that the storyline to Ghost Town Alive’s changes every year? 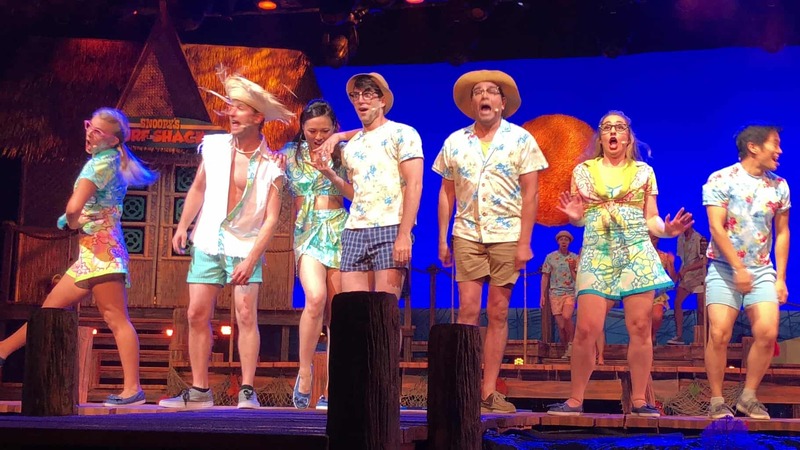 In 2018, the storyline continues with shouts of, “Gold,” have sent the entire town into a frenzy. Peg Leg’s fabled nugget is on display in the Calico Bank which has made this location a tourist destination and a target for criminals. Citizens and newcomers are busy trying to make their fortune through prospecting the land. Unfortunately, things have started to dry up. The situation is getting desperate. In spite of the down turn, the citizens have agreed to make this the best Founder’s Day ever! 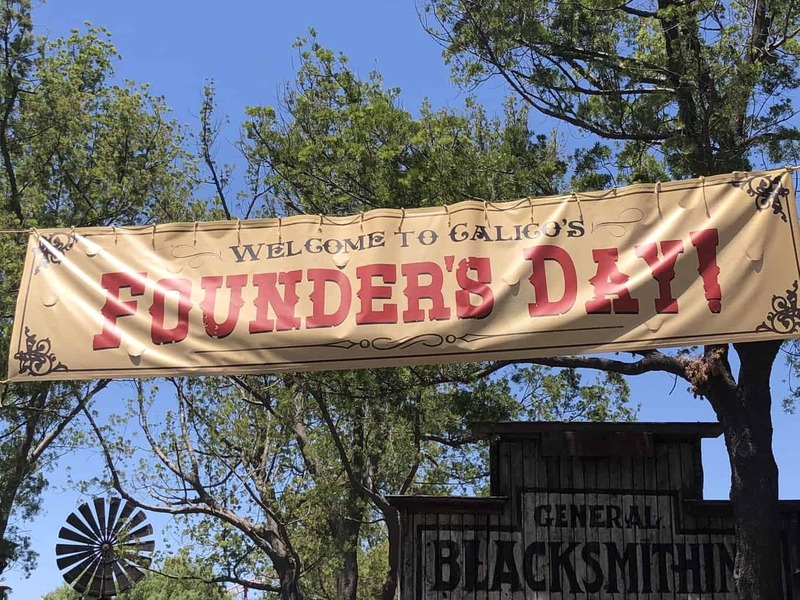 The Founder’s Day Celebration is also being observed with special shows and events including Colonel Hawkins Feats of Wonders Stunt Show, Calico’s Mountain Jamboree, The Hoe Down, and other competitions and contests. 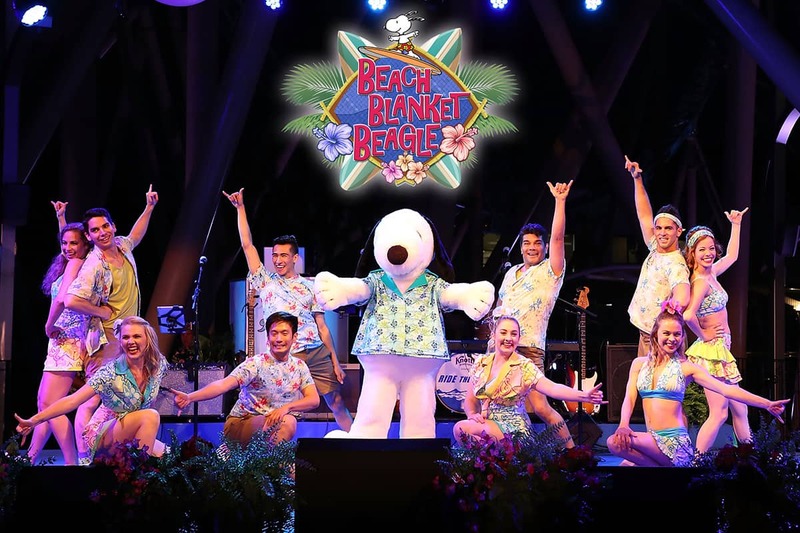 Plus debuting at the Charles M. Schultz Theatre, Beach Blanket Beagle is a musical dance party set to the classic beach comber tunes of the 60’s and 70’s, and stars the coolest beagle around, Snoopy! 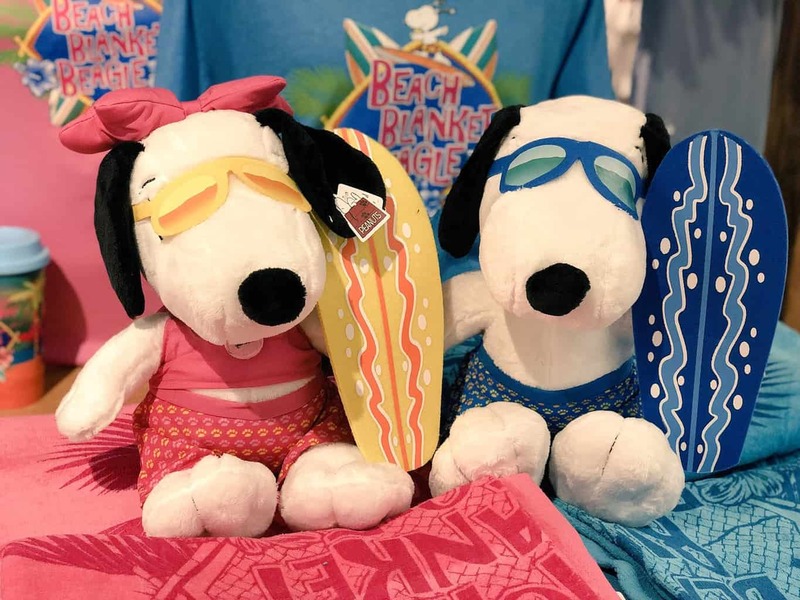 Showing select days June 9 – August 19. 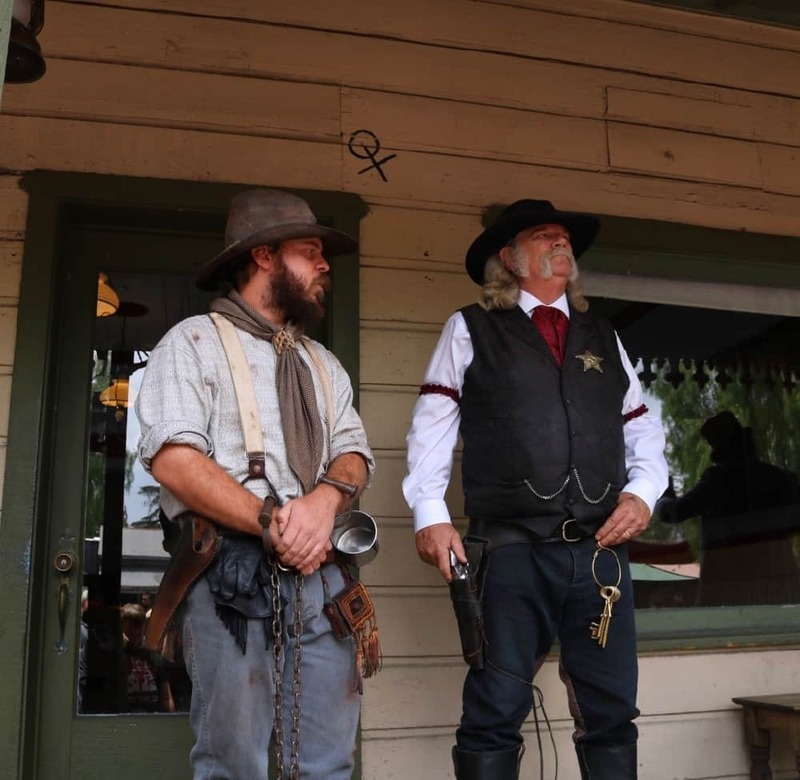 Ghost Town Alive takes place now through September 3 at Knott’s Berry Farm in Buena Park.